For frequencies from 15kHz to 100 kHz. Designed for the electronics. Connection method with pins to printed boards. The technical features (number of turns, type of wire, fasteners, insulation, method of winding and further requirements) are set by the Customer. 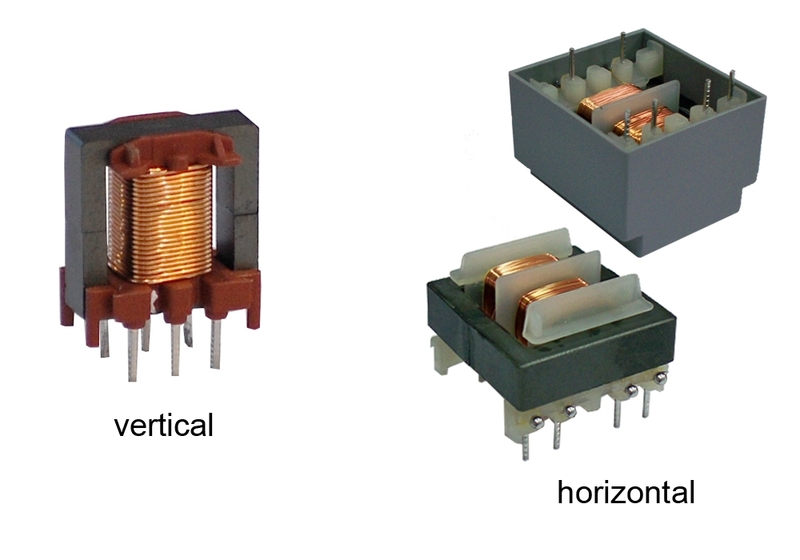 Capability for alternative types - horizontal or vertical profile.